The City of Dublin cares about the health and wellness of its local businesses. Healthy employees are more productive, have higher job satisfaction and directly impact an organization’s bottom line through fewer sick days and lower medical costs. And, as a community that relies on income tax revenue to fund City programs and services that maintain the high quality of life for which the City is well known, an engaged and productive workforce is a priority for Dublin. In 2017, Dublin City Council reaffirmed its goal of improving the health of all residents and business employees within the City. 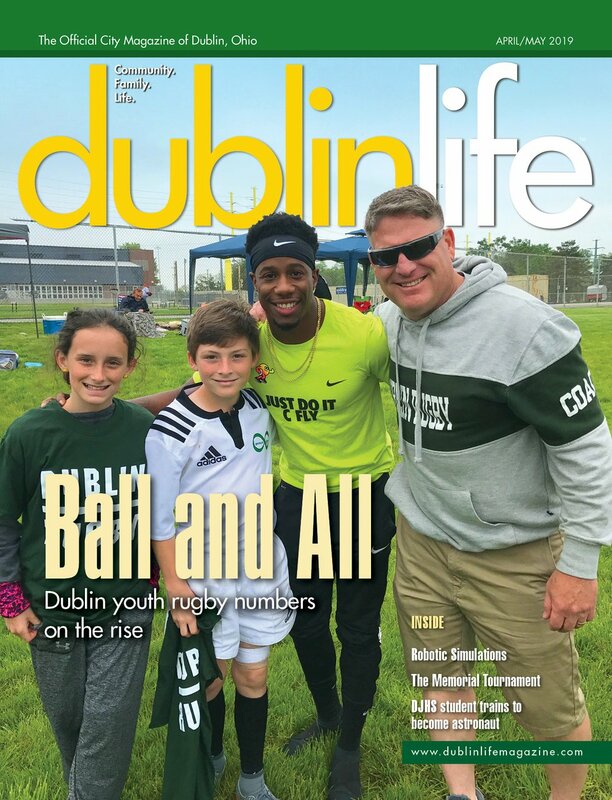 To create a culture of wellness among Dublin’s business community, the City’s Parks and Recreation Department launched a corporate wellness initiative called FitBiz – a complimentary consulting service offered exclusively to Dublin businesses and organizations. FitBiz offers a value-added service to help Dublin businesses with employee recruitment and retention. With national unemployment rates hovering around 4 percent, competition for talent is a challenge for all companies. And while 87 percent of employees say they consider health and wellness offerings when choosing an employer, most employers have no idea where to begin in addressing these needs or are unable to hire dedicated staff to coordinate internal wellness programs. FitBiz was created to address this need in an innovative and cost-effective manner, serving as both a unique community program and economic development incentive to encourage continued investment in Dublin. “The convenience and cost are key,” says Abby Gruber, who handles associate relations and wellness for Dublin-based tech company T-CETRA. T-CETRA is one of a dozen Dublin businesses taking advantage of the customized wellness solutions that FitBiz offers. Gruber said the program has been a hit with the company’s employees. Those options include fitness classes, educational seminars, health coaching, stretch and activity breaks, nutrition services, incentive challenges, corporate volunteer opportunities, and more. Programs are led by nationally certified instructors, registered dietitians and experienced health professionals. All FitBiz staff are City of Dublin recreation employees or contracted instructors, and all programming can be delivered on-site in a company’s offices or off-site at a City facility, park or other common space. Steiner said feedback from the companies taking part has been extremely positive with an overall satisfaction rating of 4.8 out of 5.0. FitBiz recently received further validation by earning the Ohio Parks and Recreation Association’s highest recognition in the Health & Wellness category – the Award of Excellence. As businesses like T-CETRA are discovering, the City of Dublin truly cares about the health and well-being of the entire community. FitBiz allows Dublin’s businesses to improve the health of their most valuable asset – their employees. You can learn more about FitBiz by heading to econdev.dublinohiousa.gov/fitbiz. Josh Poland is a public information officer for the City of Dublin. Feedback welcome at feedback@cityscenemediagroup.com.